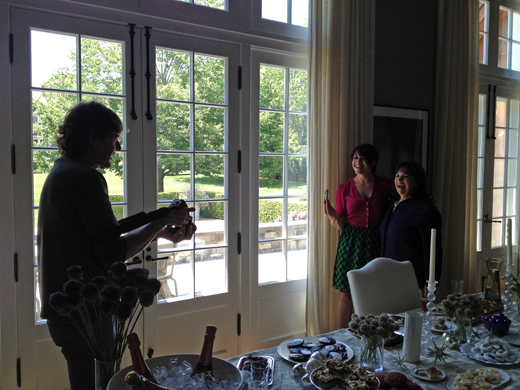 Dreams Do Come True…A Cookie Swap with Ina Garten! This summer I got an email that I thought was spam. 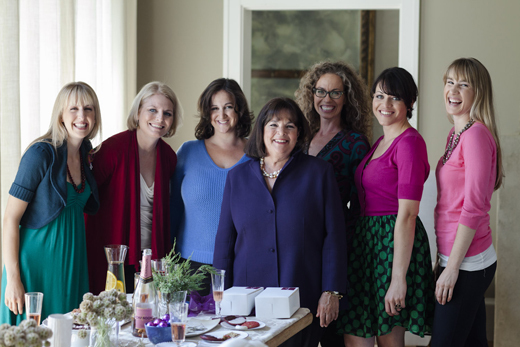 It said something to the effect of…”Ladies’ Home Journal would like you to attend a private brunch and cookie swap with the Barefoot Contessa!” I sat on the email for about 30 seconds and then decided..what the hell, what if it is legit and I really get to meet her! It was and I did. Pinch me. I was dying to ask WHY ME? But, I was nervous if I brought it up they’d realize I’d made the list by mistake and take back the invitation. So, I kept my mouth shut and off I went. We all have THOSE people in our life who we’d love to share a meal with, aspire to be like and find utterly compelling and delightful. 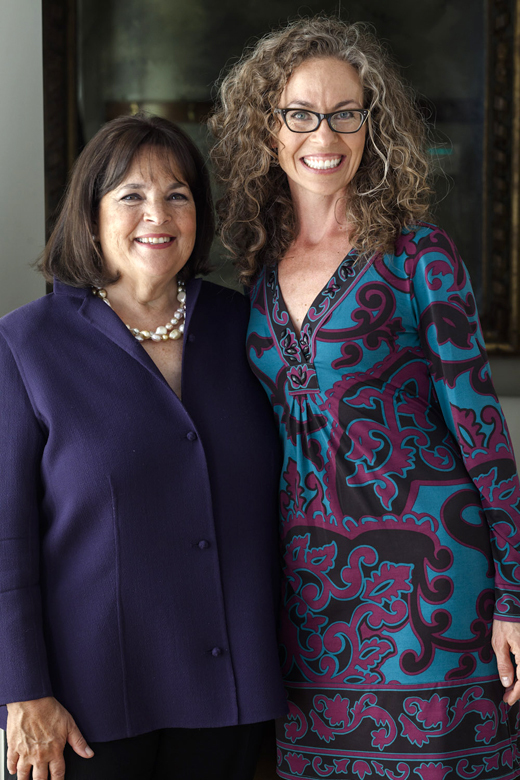 For me Ina Garten sits at the top of the list. I remember, as a kid growing up in Westport, CT in the 70s and 80s, her store in the Hamptons was the “it” place to shop. The Barefoot Contessa was the epitome of sophistication and yet it wasn’t fussy or pretentious. She managed to make the “good life” seem accessible. Thirty some odd years later I’m invited to meet her. It was an OMG moment. With all of her fame and success, I couldn’t have faulted her for being aloof and a bit guarded about inviting her adoring fans into her home. She’s nothing of the sort, Ina is as kind, open and generous as she appears on TV. Not only that, she is deeply passionate and genuinely in love with food. She is the ultimate hostess. This story gets even more surreal, because I also got to meet and spend the day with a group of intensely talented, driven and outrageously funny food bloggers. We shared a ride in an RV from Manhattan to the Hamptons, which was a bonding experience, not only because of the close quarters, but the sense that we’d all survived a tumble in a clothes drier. I’m not sure I’ve laughed that hard in my life. When we arrived in East Hampton, which is like an Audrey Hepburn movie set, we had brunch at Ina’s favorite restaurant. I didn’t realize I was holding my breath until she arrived and I could feel my body relax. It was as if she were greeting a group of old friends. She immediately put us all at ease and we sat and chatted over a lovely meal, which I know was delicious, but I hardly recall what I ate. We talked about everything from blogging, throwing the perfect party, the crazy world of publishing, to her husband/muse, Jeffrey. Since we’d all been invited here to attend Ina’s very first holiday cookie swap, we also talked about cookies. You can read all about our chat with Ina at The Ladies Home Journal. After brunch we walked to Ina’s house for our cookie swap. It was the perfect party, with pink champagne and lots of cookies. Another gaga moment in this adventure was getting to watch Quentin Bacon, who photographs all of Ina’s books, in action. He has shot some of my favorite cookbooks and is an absolute delight to work with. 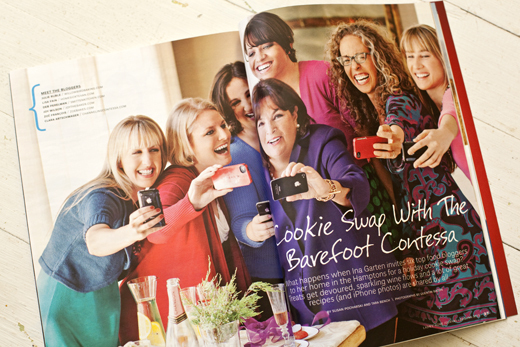 Thanks to Susan Pocharski and Tara Bench for inviting me to join Ladies’ Home Journal on this most memorable adventure. Thanks to Ina and her lovely kitchen goddesses for hosting the best cookie swap ever! 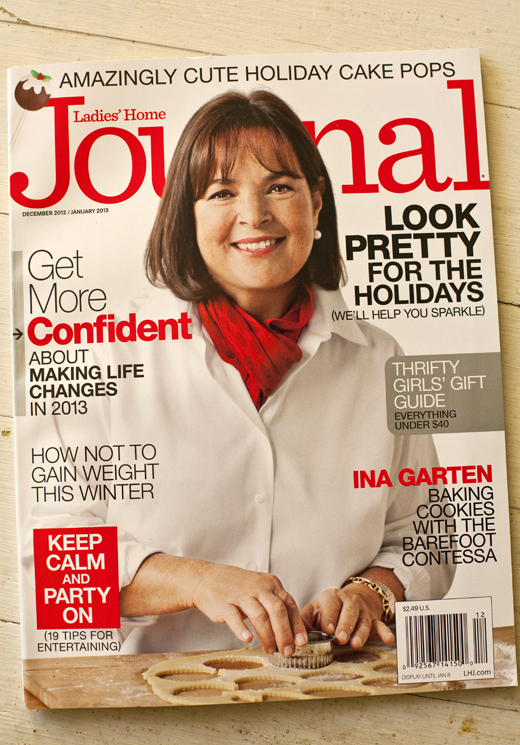 Pick up a copy of this issue of a Ladies’ Home Journal and enter your very own holiday cookie recipe for a chance to have LUNCH WITH INA. Do it, it will rock your world! What a fantastic lifetime experience Zoë!. Meeting one of your role models but also some great food bloggers as well. Oh and the cookies (and the champagne rosé). Congrats, you deserve this and more. I’m officially jealous. This is TOTALLY a dream come true!!!! So glad you got to be a part of it! WOW!!! Talk about a dream come true – how amazing!! 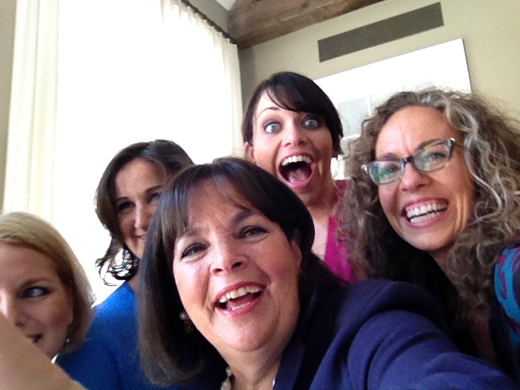 Love that you all had so much fun laughing together – I bet Ina is a hoot! Such an amazing post! And what an amazing group of ladies!!! btw, so happy I found your blog! How fun!! I loved reading this post. It looks like you all had such a wonderful time and that Ina was a great sport. Thank you for sharing! What a blast! I’m going to find this issue right now! That is an amazing experience! I’ve always loved Ina’s shows and the recipes she makes. I just got the LHJ yesterday in the mail, I’m definitely going to check it out tonight! It looks like a good time was had by all. Pretty amazing as my experience with Ina was quite different. She must have taken her nice pill or perhaps was in need of some “good publicity”. Whatever the case, it makes for a good story. I am so sorry to hear that. Having done book tours and other events, I know I have had a couple of bad days on the road, so perhaps you caught her in a weak moment. She was genuinely lovely! WHOA. Dream team right there! So happy for you that you were able to be a part of it! Wow, that is amazing! An experience of a lifetime. So cool to hear about Ina in person too! Can’t wait to pick up copies of the magazine! Wow Zoe, what an amazing experience! But why you? I am not surprised one bit, the baking talent that you are! You look like you are having one fabulous time! Great photos! You are so sweet! It was a thrill to be there and I soaked up every second of the experience! This had to be a really fun time. What a memory! Oh gosh – love this! I have to go check out the issue right away! : ) I love seeing all the familiar faces, in addition to Ina’s (of course). What an amazing gathering. Any chance it was recorded for her show? It wasn’t recorded for the show, but we did create a little video while we were together. Not sure when or where it will be shown, but I will make it available here if I can! Great article. But more important (and off subject) where did you get that darling dress? Thanks for the sweet note and the dress came from a local Minneapolis shop called Local Motion: http://www.localmotionmpls.com/ I get most of my clothes there! OMG. omg omg omg. This. Is. Incredible! This looks like it was the best time ever. And you absolutely deserved it! Thanks for letting me live vicariously through you on this one… what a thrill! This is pretty much the best post you’ve ever written and I would have totally thought that email was spam. But so glad it wasn’t. Congrats, Zoe. This had to have been the most truly amazing experience ever! Ina is my superhero, and Deb, Joy, you, and all the ladies…wow, so awesome! Oh. Wow. That’s incredible, awesome, fabulous, fantastic, amazing … oh I could go on. Congrats on this breathtaking life experience! How very exciting for you. 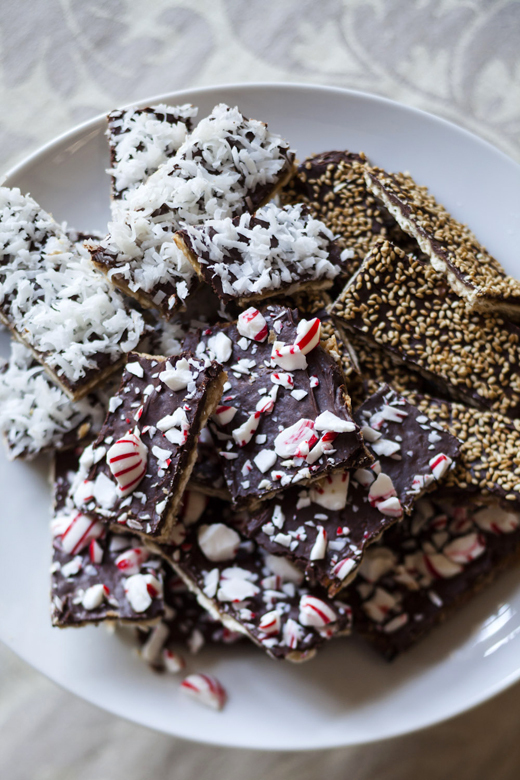 Yesterday, on a trip down the internet rabbit hole, I stumbled across your Striped Christmas Sugar Cookies recipe and can’t wait to bake them. Looking for more info, I ended up here. 🙂 I don’t blog, but excel at cookies. At Christmas, I’m the official (volunteer) baker for our local newspaper, The Morning Call, annual Christmas Lights Tour which raises money for the local food bank. I bake about 20 varieties, starting about 2 weeks before Christmas, and only make ones that store well. I’ll make the Striped Cookies near the end of my marathon. Thanks so much for the inspiration. 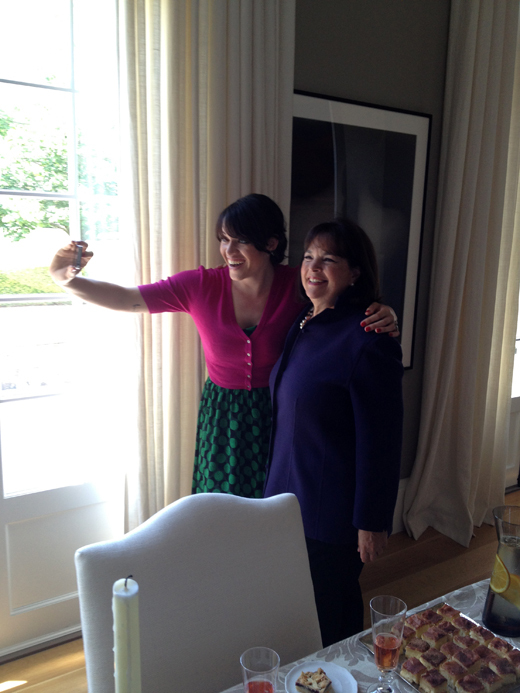 Ina Garten is one of my idols! Love all the pictures. What a fun group to be a part of! OMG. Three of my favorite cooks in one room with cookies! I don’t know all of them but Ina is awesome, Deb I adore and you, Zoe … are only the co-author of my most-used and favorite cookbook of all time. Also that dress is amazing on you! What an amazing experience! She has always been one of my favorites for her simple, approachable recipes. I LOVE your hair!! You look gorgeous!! Thank you for all the lovely notes! What a thrill! I’m so happy to hear that she’s as down-to-earth as she seems. I can’t even imagine meeting her, so it’s wonderful to read about someone who has. Congrats on getting to meet her. Looks like it was a good time. Love your posts and recipes. I first learned about you after buying your “Artisan Bread..” book. You are my “go to” source for the best recipes ever. I’ve made your Devil’s food cupcakes, bought Lyle’s Golden syrup for the first time..yum. Just read your article about growing up in a commune:) and now realize that you might be Leif’s sister? We enjoyed him so much when he lived in Mpls. OMG! 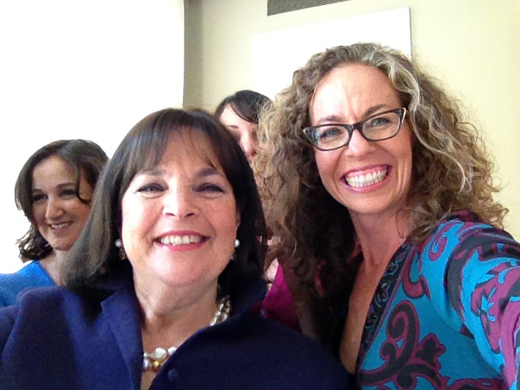 I’m just so excited about you meeting Ina Garten! She’s awesome! You are too! That dress you are wearing is too cute! I just sent my husband a message saying I need to do a cookie swap too. Thank you for the inspiration! This post just makes me smile. It think it’s YOUR smile. What an absolute treat to spend time with Ina. Yay!! If i can only put in words how much this post made me smile! I dont know you personally but i’m SO happy for you! Thats a great experience and i really hope you enjoyed every single minute of it. Thank you for inspiring me and pushing me just a little bit more to soon have, my little blog, become something bigger than what i thought it can ever be!! 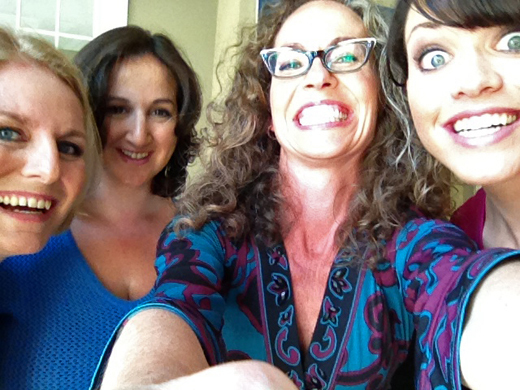 It was a lovely day, spent with incredible women. I feel doubly lucky to do what I love and get to have experiences like that! Oh Zoe! It looks like you had an absolutely fabulous time! Whenever I need a recipe or am looking for some inspiration, I turn to Ina! She’s just amazing. I hope you have a great holiday season! I would need to be pinched as well if I ever received an email like. What an unforgettable experience! I met Ina “by accident” a few years ago. My friend and I were shopping in a store that was hosting a book signing with her the next day. We were lamenting that we couldn’t make the book signing and then all of a sudden, there she was. She had come to the store straight from the airport to get the “lay of the land” and do a little shopping herself. We were “star struck” but managed to introduce ourselves. She couldn’t have been more gracious and talked to us for a minute or two. She was every bit as friendly and lovely and down to earth as she appears on TV. How lucky you got to spend an afternoon with her!!!! Loved your account of the day. This is amazing! So exciting that you guys got to spend time with her! I’m so glad to hear she’s just as lovely as she seems on her show! Ina is my favorite cooking show on television. Her show airs between 4pm – 5 pm. I always try to make it home to watch her show. I have tried a few of recipes and all are delicious. I would love to have the opportunity to meet her one day. She makes everything looks so easy. Ina and her husband look so happy together and look like they have a beautiful life.